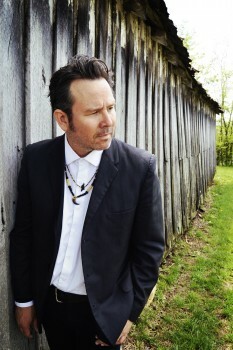 KCRW premiered the new video for Grant-Lee Phillips’ “Cry Cry.” In an interview, Grant goes into detail about creating the video with his wife. As it happened, one of the biggest snowstorms in recent years hit in January of 2016. As a result I cancelled a few dates and found myself off the road in Nashville. Seizing upon this opportunity, my wife and I traipsed into the snowy woods near our home with a Nikon D3200. Shooting with an 85 mm Petzval lens brought out the surreal quality of the forest in winter. Denise Siegel-Phillips, my wife, shot the footage of me and when her toes were about frozen off, I went back for a few more details. Head to KCRW to read the full story, and watch the video below.